With a keen eye for details, a clever business acumen and the ability to understand the client’s needs, Bradley has built Contrast Constructions with the help of his team over the years, to where it is today. A licensed builder, Bradley commenced his construction career path completing an Apprenticeship in Carpentry and Joinery. He briefly worked as an Sales Estimator with Duce Joinery, after which his desire was to build a solid construction company what was built around quality. With a keen interest in future construction methods, Bradley has expanded his knowledge of the industry through travel. Having been a member of a number of boards, Bradley has a wealth of knowledge of the construction industry around the globe. When he is not managing a project, Bradley likes to ride horses and play polo. He is a keen talker and loves to socialise. 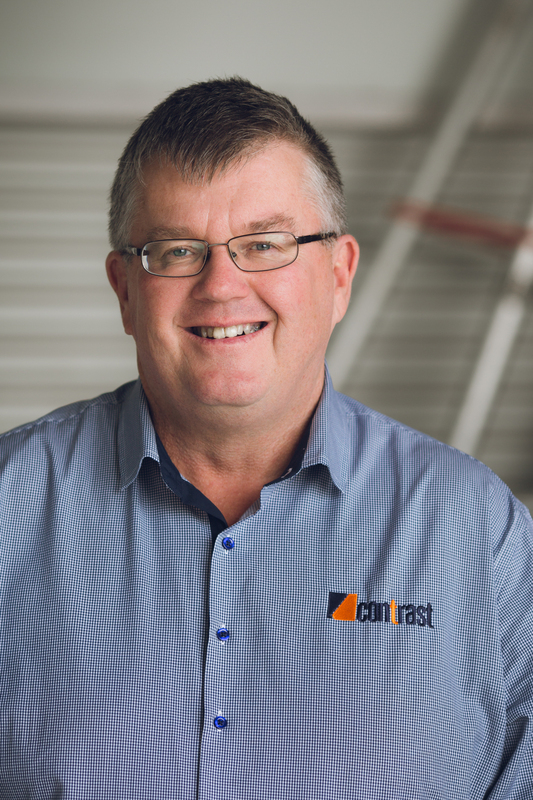 Gerard is General Manager at Contrast Constructions and ensures the quality and timely delivery of projects through the sound management of processes from sales and project administration through to job completion. Reliably liaising with clients on a regular basis, Gerard is approachable, accessible and happy to answer questions and create solutions for clients. Gerard is responsible for head contract administration at Contrast and also regularly attends site meetings with project managers and clients to oversee works. “We are always chasing innovative ideas and new construction methods to ensure Contrast is at the leading edge of modern construction techniques. Were possible, we use state of the art materials to improve the energy efficiency, acoustic and thermal qualities of our buildings.” says Gerard. Gerard was promoted to General Manager at Contrast in 2004 after more than two years in the role of Construction Manager. 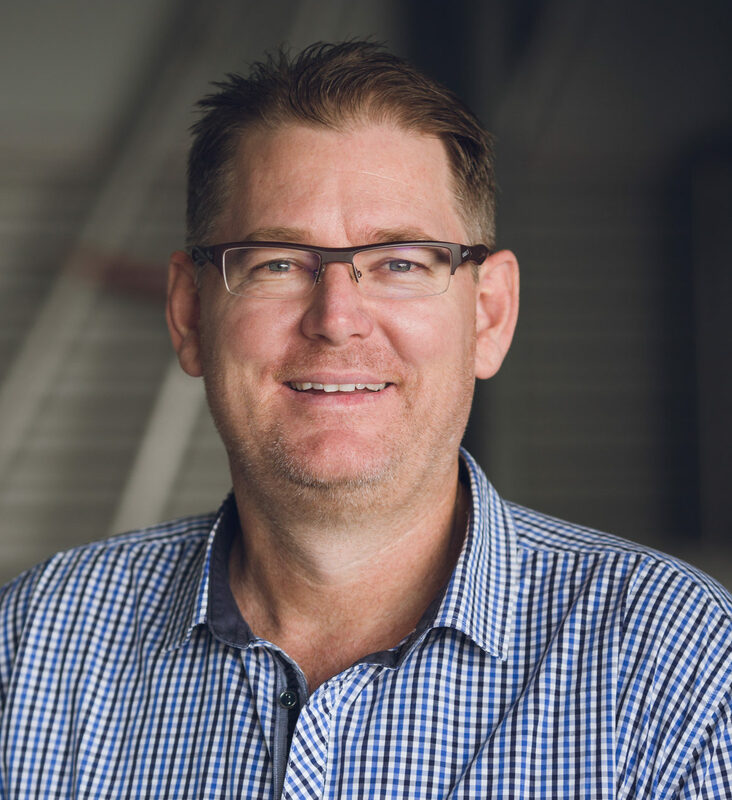 Gerard joined Contrast in 2001 after gaining extensive experience in estimating and costing projects with several leading Queensland building firms. 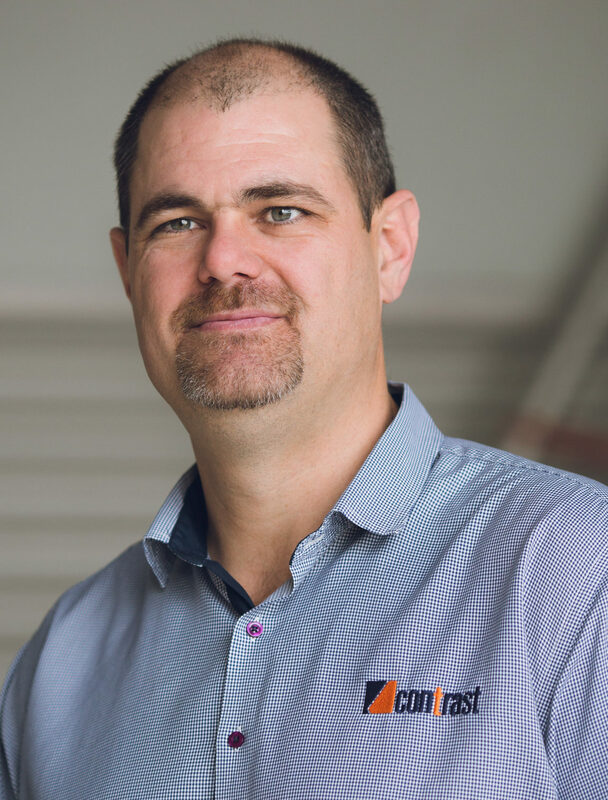 After seven years in the building industry gaining practical skills on the tools, Gerard progressed to become Head Estimator at a building company ranked number one by volume in Queensland before taking on the role of Construction Manager at Contrast. Gerard has qualifications in time and resource management and has studied high-level mathematics. An expert user of the latest project management tools, with practical building knowledge and a strong mathematical background, Gerard is heavily involved with value management of high end projects. His strong project management skills show through in all aspects of the building process. Phil is a qualified carpenter with more than 30 years’ experience and has worked extensively in both the housing and commercial sectors. As Project Administrator for Contrast Constructions, Phil makes sure all work is completed to budget and on time, while ensuring the firm’s commitment to quality is consistently met. Phil’s carpentry career began at the age of 16 in the United Kingdom, where he successfully completed his five-year apprenticeship. Moving to Brisbane in 1982, Phil went on to work in high-rise construction and was also involved in large-scale commercial contracts at Brisbane Airport. In addition, Phil owned and ran his own business, working on up-market housing renovations. Phil then worked as a senior estimator and cost planner for some of Queensland’s leading building firm and developers. Starting at Contrast in 2005, Phil’s extensive knowledge of the building industry has been a great asset to the company and clients alike. “I bring honesty, reliability and strong problem-solving skills to my role at Contrast.” says Phil.